Sherlock is bitter but is happy living sway from the world he used to inhabit. He has his bees and his solitude in Sussex. He discovers a case that has piqued his interest has has come out of retirement to help solve. Not only that. 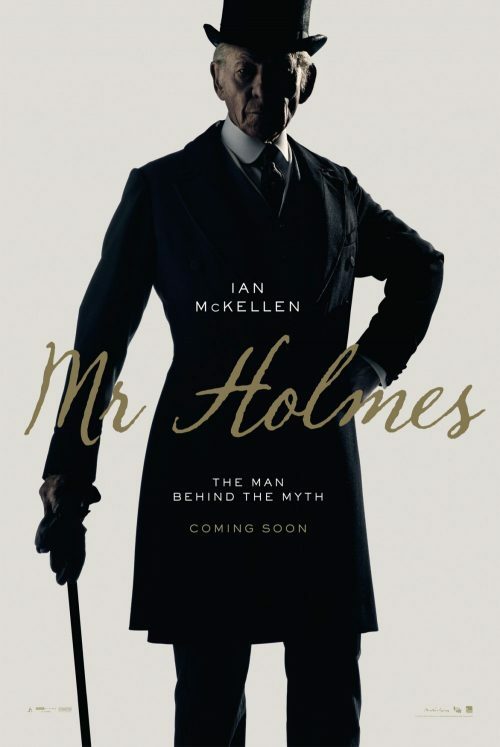 It has an amazing cast with Ian McKellen taking on the iconic role of the great Sherlock. This is the sort of film that the BBC and BBC Films are great at producing. Period pieces with iconic characters. The other thing that we have, apart from the above teaser trailer is the first poster. Sir Ian looks all the part of an elderly Sherlock with all the grumpiness that you would expect from the great detective. In 1947, the world famous sleuth has retired to a remote Sussex farmhouse, living in relative anonymity with only his housekeeper Mrs Munro and her young son Roger for company. Cantankerous, demanding and frustrated with the mus-representation of him in Watson’s best-selling novels, he diverts his attention to an unsolved case. As the mystery deepens, Sherlock tries desperately to recall the events of 30 years ago that ultimately led to his retirement.